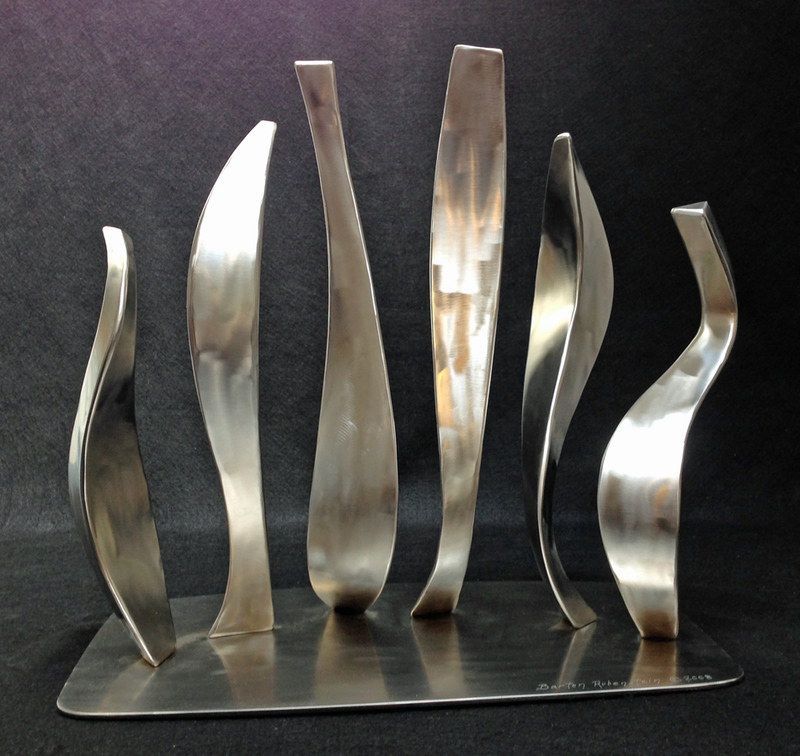 This dynamic six-element artwork suggests the shape of a wavy flag. Also available for sale in this small scale at Rubenstein Studios. 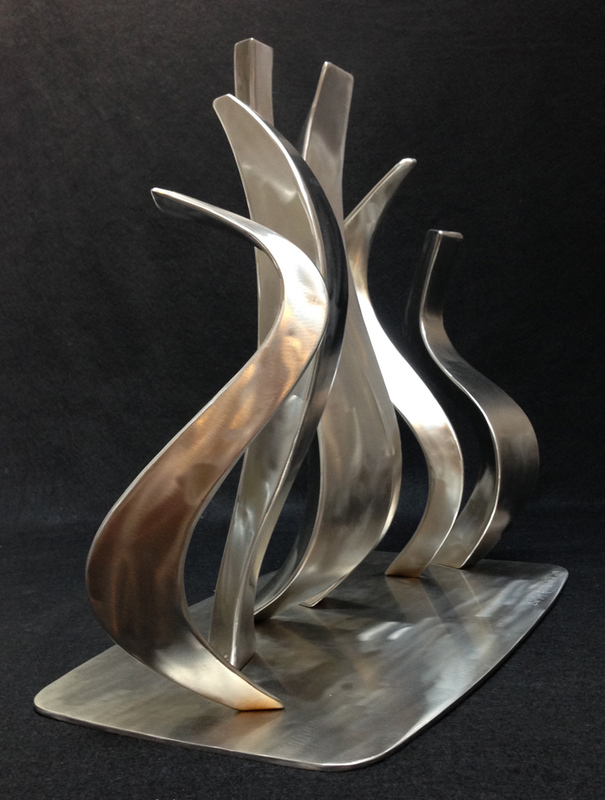 Created for a private residence, Summit, Pennsylvania.